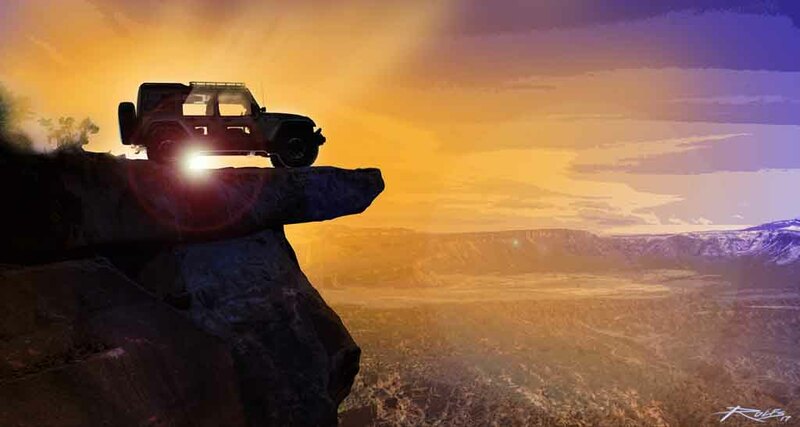 Moab Safari is a well known adventure drive for the jeep lovers and enthusiasts. Every year, the American SUV manufacturer organises its annual Easter Jeep Safari in Moab, Utah for its most diehard owners. For the event, the automaker specially brings a range of customised Jeep vehicles. This year is no different and Jeep has teased the safari vehicle for 2017 edition of the event. 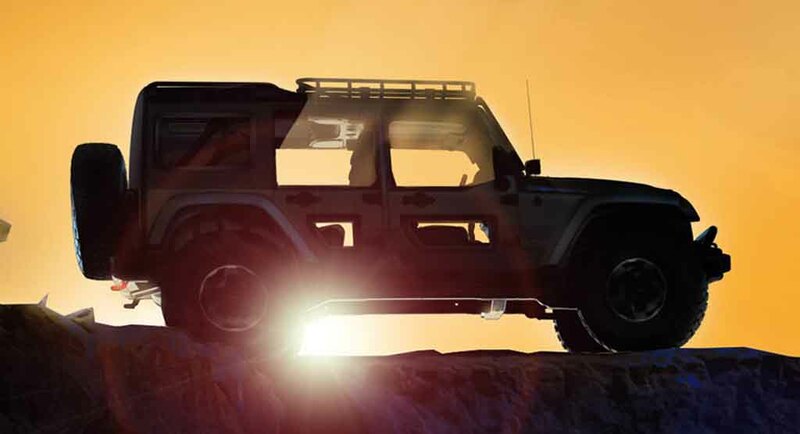 A couple of teaser images show a four-door Jeep Wrangler Unlimited with exciting customisation. One image shows the Jeep Wrangler Unlimited with partially open doors, giving us a view inside the cabin, a roof rack and it runs on chunkier off-road focused wheels. It looks like sharing design cues with the 2015 Jeep Africa MOAB concept. The other image shows the two-door Jeep Wrangler with wider tyres, the ones needed to tackle with loose sands in desert terrain. These two vehicles are christened as Switchback and Quicksand respectively. So far, both the cars are customised to take the challenge of toughest terrains thrown at them. FCA is expected to reveal more information about the safari later this week, before the event gets underway from 8th April to 16th April. Therefore expect to see more Moab concepts in few days. This is the 51st edition of the event, and as always, it will be hosted by the Red Rock 4-Wheelers off-road club. The iconic American SUV manufacturer entered Indian market last year with two cars, the Wrangler and Grand Cherokee. Apart from the regular Grand Cherokee, the automaker also offers the SRT variant in the domestic market. Currently, it is preparing to roll out its next offering Jeep Compass, which is ready to hit the showrooms on 12th April.